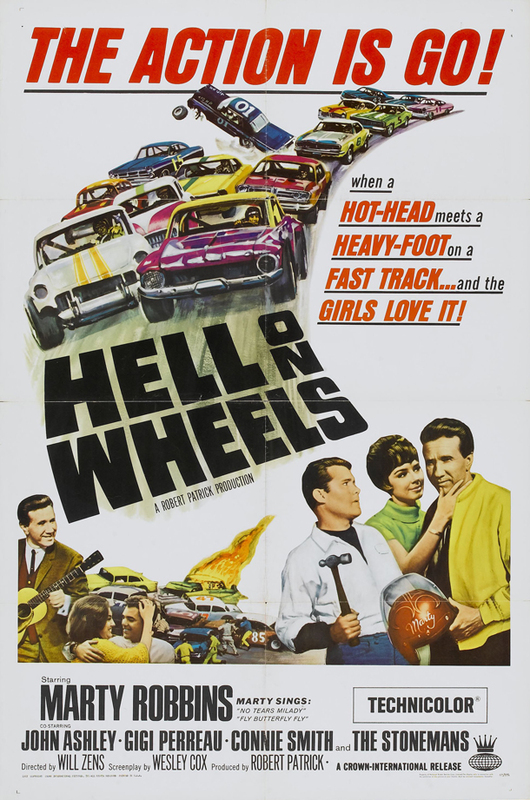 Hell On Wheels (1967, USA) is a Carsploitation film directed by Will Zens. THE ACTION IS GO!...when a HOT-HEAD meets a HEAVY-FOOT on a FAST TRACK...and the GIRLS LOVE IT! Country Stars and Fast Cars Light Up Nashville! A mechanic (John Ashley) turns moonshiner to top his country singing, stock-car driving brother (Marty Robbins). This page was last modified on 15 May 2018, at 13:58.